…a new installation by EXYZT opened in Southwark. 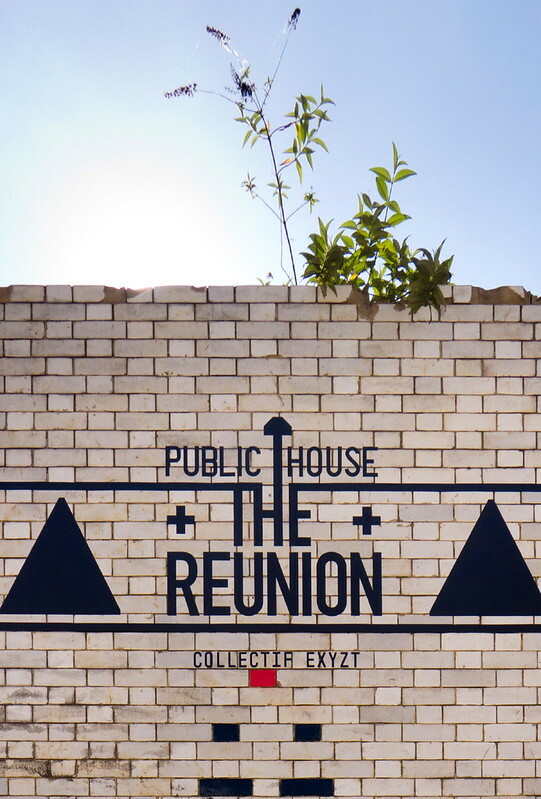 The reUNION is a new Public House, in the spirit of the 1830 Beer Act in which anyone could apply for a licence and open up their front room to the public, to sell – and even brew – beer from their own home. Choose a drink from our selection of London micro-brewery beers, a snack from Borough Market, and enjoy our pub games and film-screenings – or simply restore yourself at our mini-spa! We’re at 100 Union Street, SE1 0NL – previously home to the Southwark Lido, Urban Orchard and Urban Physic Garden – just minutes from Borough Market and the Tate Modern, and from Southwark, Borough and London Bridge Stations. The reUNION is FREE and open to everyone – come by and say hello!